Product categories of Solar Aluminum Structure, we are specialized manufacturers from China, Solar Aluminum Structure, Aluminum Solar Panel Frame suppliers/factory, wholesale high-quality products of Aluminum Solar Panel R & D and manufacturing, we have the perfect after-sales service and technical support. Look forward to your cooperation! Are always more numerous the installations of panels for the production both electric current and heat energy for building heating and for hot sanitary water production. But the installation of these plants have to clash with the continuous exposure of these to the disparate atmospherics conditions, from the cold of the winter season, due to the necessity of positioning the panels on the covering of the buildings, where the harshness of atmospherics changes is further amplified. The utilized materials for the built are submitted to hard stress and an high risk of wear and tear due to the corrosion. So these are the conditions on which the aluminium extruded profiles alusic better express theirs advantages compared with the building traditional materials, like steel, so far used in a lot of installations. • easily recycling of the material turn to safeguard the environment also in case of dismantling of the structures. Extruded aluminium profiles are realized in primary aluminium alloy en aW-6060 (almgsi 0.5) – en aW6063 (almgsi1). The metallurgic state of supplied bars is T6 (solution heat treatment and artificially aged). The dimensional tolerances follow for the extrusion are in compliance with the normative for precision extruded EN12020-1. Besides as guarantee of high quality and dependability of aluminium profiles and accessories for solar installations the quality system of ALUSIC is in accordance with the requirements of the normative UNI EN ISO 9001:2008; this is confirmation of a continuous control on raw materials and on the processing that is steady quality and improvement of products. 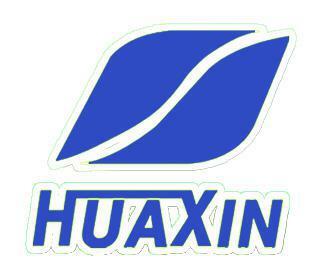 Finally Huaxin poower put to finally customers` disposal its Technical and Commercial Departments in the way to solve every needs and research the best solution to realize solar installations.